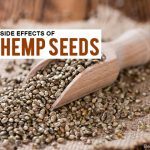 It’s hard to imagine those tiny little seeds can have any kind of side effect, right? But it is true! 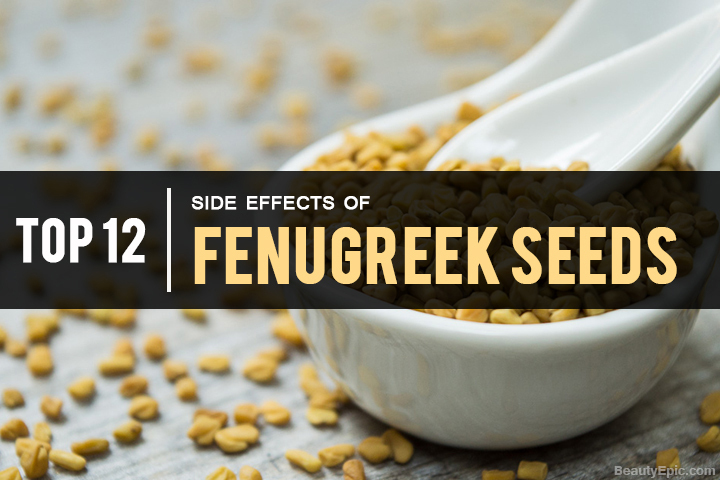 Fenugreek seeds do have certain side effects which we will be discussing in this post. Fenugreek seeds or methi seeds as they are popularly known as are one of the most common kitchen ingredients and is found easily in every kitchen/store shelves. You have a lot of dishes which have these fenugreek seeds as an integral ingredient. 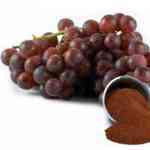 Primarily considered as a spice, they are also used as a herbal medication to treat a number of disorders. You will find them cultivated mostly in Middle East and Asia. 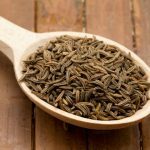 Often used for its flavor, it is also a powerhouse of health benefits. But just because it is known as a powerhouse of benefits, it doesn’t give you the license to over-indulge in it. The fenugreek seeds are basically very helpful and don’t really cause any harm to your body. But the problem arises when you start over-using it. Though the side effects are nothing to be worried about, a little caution in its usage will go a long way in keeping you safe and healthy. On that note, let’s take a look at what those side effects are and how you can avoid them. It is advised to avoid the consumption of fenugreek seeds if you are on some medications that are related to diabetes. 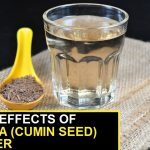 This is because the medication is already aiding in lowering your blood sugar levels and and consuming these seeds can lower the levels even more which might turn to be harmful for you. Fenugreek contains oxytocin which can induce uterine contractions. This can be harmful for the expectant mother and can result in premature childbirth or miscarriage as well. Hence, pregnant women should consult their doctor before taking any supplements which contain fenugreek. Fenugreek seeds contain high fiber content which can result in a case of diarrhea. Now before you stop consuming it, remember that this side effect occurs only when there is an over-consumption. Regular consumption of fenugreek seeds is actually beneficial for our stomach and intestines. This is one of the most common yet harmless side effect of eating fenugreek seeds. People who regularly consume fenugreek will notice that there is a pungent smell surrounding them. This smell which is also referred to as maple syrup syndrome, is nothing to get worried about. This odor is present only for a few hours after your fenugreek consumption. But the only way to get rid of that smell is to take a bath or use a good deodorant. Now this is one side effect that is really going to piss off the people around you! Well, the only way to avoid this smelly side effect is to just control the dosage. Find out what the recommended dosage is for you and strictly adhere to it. Though its just a reaction of your digestive system to fiber content, it is definitely something that you need to avoid. Remember the maple syrup odor that we spoke about earlier? Well, that odor can often been diagnosed as Maple syrup urine disease which is obviously an incorrect diagnoses by the doctor. How to avoid it? 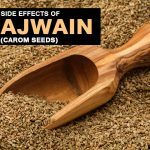 Simple, the next time you are off for some urine tests or any other medical checkup, just avoid the consumption of these seeds. The next side effect of over consuming fenugreek seeds is hypoglycemia. Your glucose levels will be affected due to the dietary fibers present in fenugreek. 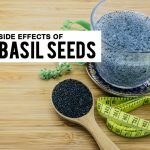 So if you do not want an increase in the insulin effects or lower your glucose levels, please stay away from these seeds. Fenugreek seeds belong to the family of Fabaceae which include items like peanuts, green peas, soybeans, etc. So if you are allergic to them, then you are definitely going to face some allergic reactions if you consume fenugreek seeds too! Fenugreek seeds can interfere with medications for blood clotting, high cholesterol levels, high blood sugar levels, etc. Because the seeds are super effective for these disorders consuming them along with the prescribed medication will only worsen your condition. So make sure to skip fenugreek if you are already in these medications. Though consuming a small amount of fenugreek seeds is known to be safe for children, it is better to avoid it altogether. There have been reports which have claimed loss of consciousness in those children who have consumed fenugreek tea. So that’s another drink that you need to exclude from your child’s diet. This is a mild side effect but you still need to bear it in mind. If you are using fenugreek seeds in its herb form and are applying it on your skin, then you might encounter skin irritations. In such cases, avoid using it immediately. This is prevalent in those who have sensitive skin. The final side effect that can occur due to over consumption or incorrect application of the herb fenugreek is rashes. All you need to do is closely monitor if there are any rashes forming on your skin due to the application of fenugreek. If yes, then stop using it. Looking at all the above side effects, you must have noticed that most of them are harmless and are just the result of over consumption. So the only advise that we have for you is – monitor your intake and consult your doctor if you are using any fenugreek supplements!